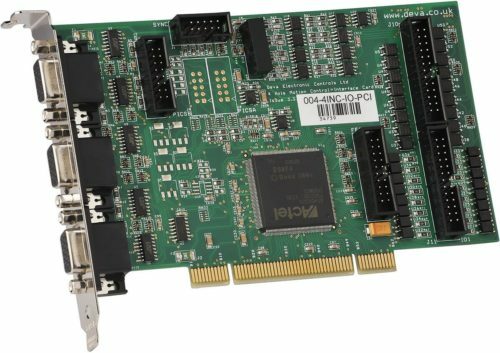 The Deva 004 PCI Motion Controller enables the position, speed and acceleration of servo driven axes to be controlled from a PC-compatible computer. Based on a custom-designed ASIC, the DEVA004 contains a wealth of synchronisation and triggering facilities which enables both OEMs and end-users to create powerful and highly flexible automatic measurement systems. A comprehensive software support package includes libraries and examples for modern rapid application development tools such as Visual Basic, Visual 'C' and DotNET in which the use and features of the motion control function library are clearly illustrated by example source code. Axis tuning and jogging utilities provide for easy machine setup. The Deva004 is able to work with any Microsoft compatible joystick connected to the host PC.